Airborne sniper Ross Mitchell, 93, learned to shoot hunting gophers on his father’s farm in Douglas, Man., east of Brandon. He jumped behind enemy lines into Wesel, Germany, east of the Rhine River, on March 24, 1945. 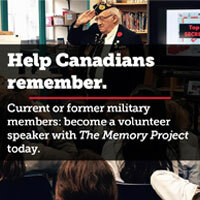 Ross Mitchell of Douglas, Man., was just 18 when he began infantry training with the Canadian army in 1943. Told he would not be sent overseas until he was 19, he decided to give the airborne a try. 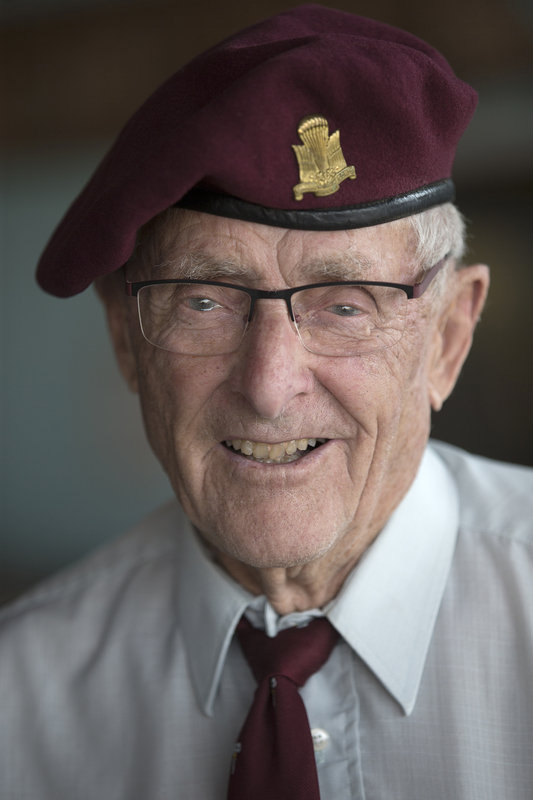 He spent the summer of 1944 running around Shilo and jumping off towers in stifling heat, learning how to be a paratrooper. The jumping part was an acquired skill. The killing part, he knew well enough. “I had shot thousands of gophers,” Mitchell, now 93, said recently. “And I’d shot cattle and pigs for my dad when he wanted to slaughter them. So killing didn’t really bother me. What Private Mitchell did then was the job of sniper, picking off German artillery observers from 500 metres using a Lee-Enfield .303 with a scope. His years of gopher hunting served him well. He was with 1st Canadian Parachute Battalion, moving from reserve to active duty in England in February 1945. He made his first and only combat jump behind enemy lines into Wesel, Germany, on March 24. The final push into Germany was beginning and the battle for the Rhine River was raging. But first Mitchell and his stick had to get out of the American Dakota aircraft that was delivering them to their destination. “We were part of the 6th British Airborne and 6,000 paratroopers jumped that day,” Mitchell recalled, estimating they came in at 1,000 feet. “There were 20 in every plane. I was No. 13, and Willie Watt from Hamiota [Man.] was No. 12. It didn’t take long to reach the ground. He had a good landing in a vegetable garden somewhere on the far side of the Rhine. Counting training, it was his 13th jump. “I couldn’t see anything around me so I just gathered up my gear and I headed where I thought I was supposed to go, to the rally point. The first German I saw was lying flat on his back and shot right between the eyes. 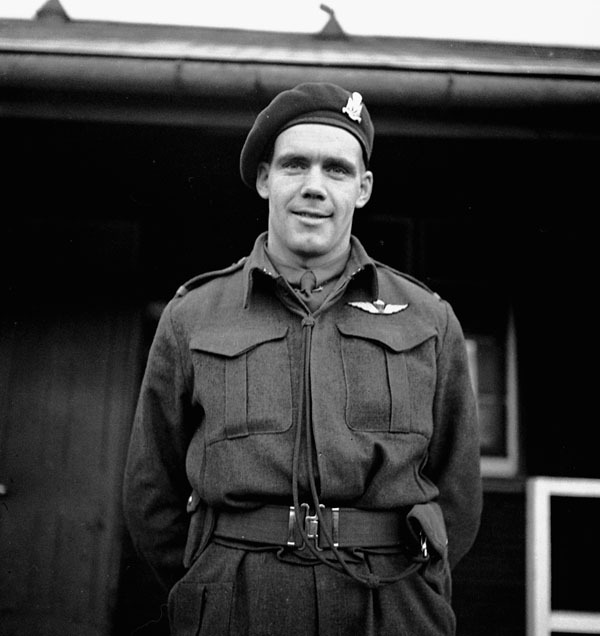 Lieutenant-Colonel Jeff Nicklin, then a major, of 1st Canadian Parachute Battalion at battalion headquarters, Carter Barracks, Bulford, England, on Jan. 5, 1944. Among the first Allied airborne troops to jump into Germany, the two-time Grey Cup champion and CFL all-star was killed after getting hung up in a tree next to an enemy machine-gun nest. His commanding officer, Lieutenant-Colonel Jeff Nicklin of Winnipeg, a two-time Grey Cup champion and Canadian Football League all-star who’d played six seasons at half-back for the Blue Bombers, never made it out of his chute. “He landed right beside a German machine-gun nest and…” The sentence is left unfinished. Toronto Daily Star reporter Frederick Griffin, writing on March 26, 1945, picks up the story from there. “Some 30 paratroopers who had made their last jump lay side by side today in a neat row outside the small brick church on the edge of the cemetery by the woods at Bergen,” Griffin wrote. Jumping from the lead plane, Nicklin, a Normandy veteran, was one of the first Allied soldiers to die beyond the Rhine, Griffin reported. He had already been wounded once by shrapnel in June 1944. “He caught on a tall tree and the Germans shot him hanging as he tried to get out of his chute,” Griffin wrote. Nicklin, who had worked his way up from private and had been among the first Canadians to land on D-Day, was 30 years old with a wife and 15-month-old son. A German prisoner dug his grave. His remains were later transferred to Groesbeek Canadian War Cemetery in the Netherlands, where he is buried alongside 2,337 other Canadians killed during the final months of the Second World War. They were the first western team to win the Cup. Today, the Jeff Nicklin Memorial Trophy goes to the CFL West Division’s most outstanding player. 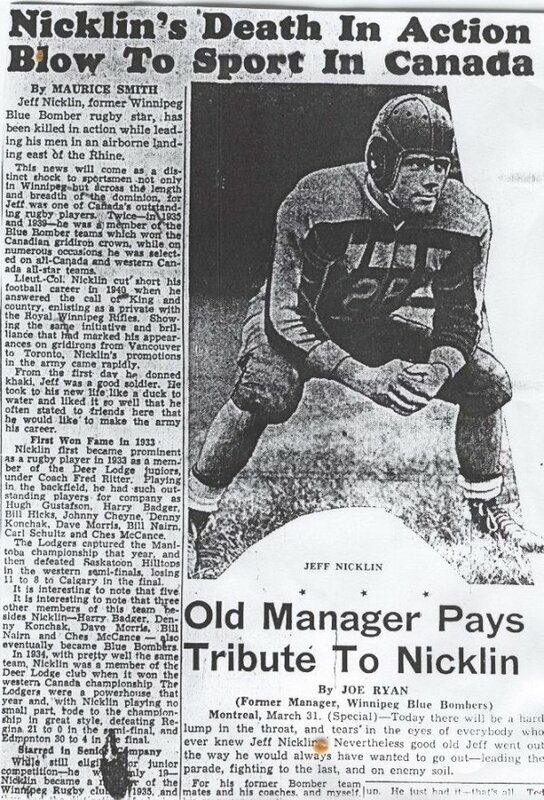 The Winnipeg Free Press paid tribute to former Blue Bombers half-back Jeff Nicklin in the days after he was killed parachuting into Germany. Nicklin, who had quit the CFL to join the army, was a wounded D-Day veteran and died on his second combat jump at the hands of a German machine-gun crew on March 24, 1945. The Germans were putting up a fierce defence and their artillery was playing havoc with the Allied advance. 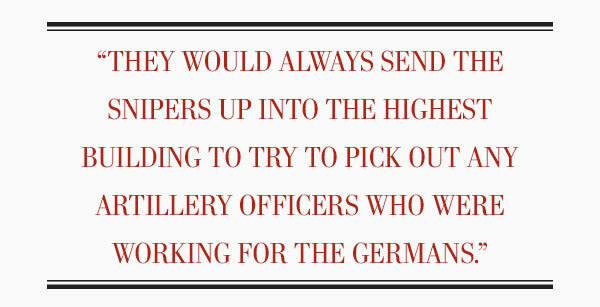 Eliminating their artillery officers and forward observers was an important job. Mitchell found the Lee-Enfield reliable and accurate, even though it was a rudimentary weapon for a sniper rifle, especially at that range. He had been shooting smaller targets from similar distances on ranges back in Shilo. And they were all bigger than a gopher. Travelling in trucks, aboard tanks and on foot, the Canadian paratroopers broke through the enemy defences and crossed the Dortmund-Ems Canal in Ladbergen, the Weser River, near Celle, and the Elbe River in Lauenbourg. Town after town had been hit by Allied bombers. “I always felt when I’d come home that the air force had shortened the war by a couple of years because they knocked the industry out of Germany,” he said. “There were an awful lot of them (aircrew) killed dropping those bombs. They advanced 560 kilometres into Germany in six weeks, ending up in Wismar on the Baltic Sea just ahead of the Soviets on April 28, 1945. It was two days before Hitler shot himself and less than two weeks before the war in Europe ended. They stayed in Wismar for three weeks before they were flown back to England. The Canadians had one Russian speaker, who was requisitioned to act as translator at headquarters until Russian soldiers took him and filled him with vodka. He returned in rough shape. 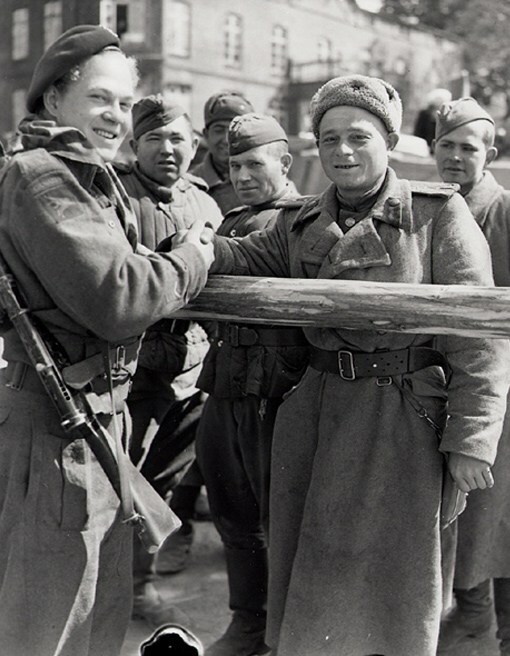 Paratroopers from 1st Canadian Parachute Battalion arrived in Wismar, Germany, just ahead of their Soviet allies. “They were a pretty rugged bunch,” said Mitchell. They all got leave in England, then were recalled for transport back to Canada where they were to be redeployed to the Pacific theatre for the anticipated invasion of Japan. They were among 10,000 troops aboard the SS Île de France, a luxury liner that had been converted to a wartime prison ship. Many of the others had been overseas for four or five years. “They gave us a month’s leave,” he said. “I came back to Douglas here and, when I was on the train going to Niagara-on-the-Lake where we were supposed to congregate, they dropped the atomic bomb and the war was over. Mitchell resumed farming with his father near Douglas, 32 kilometres east of Brandon. He stayed for 58 years, growing grain, operating a feedlot business, then opening a thriving gravel pit on land he owned south of Douglas. The war is never far from his mind. “snotty nosed 19 year old farm kid”. That has been the backbone of the Canadian military since 1867. In all likelihood, Mr. Mitchell met my father-in-law, Harry Earle, during jump training from aircraft. Harry was based in both Shilo, MB and Rivers, MB, as part of the aircrew responsible for taking soldiers like Mr. Mitchell into friendly skies. Now 96 and living in a retirement home in Ottawa, Harry has shared stories with me about the many adventures, both good and bad, he and other servicemen affiliated with our airborne heroes had. Thank you for this story, LM.